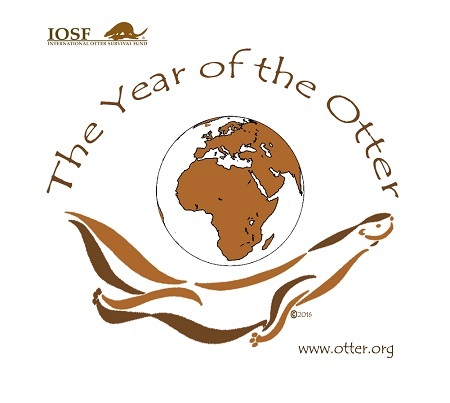 In 2016, IOSF declared the YEAR OF THE OTTER to draw attention to the threats to otters and how we can work together to help conserve these wonderful animals. They at the top of the food chain and use both the land and water, so both habitats have to be in pristine condition – this is important for all species, including our own. And yet they are being exploited for commercial gain and in some places hunted almost to extinction. Their habitat is being destroyed and fish stocks depleted, and they are being killed on our roads. So what did the YEAR OF THE OTTER actually achieve? We can’t list everything that happened in 2016 but here are just some of the things YOU have helped with. 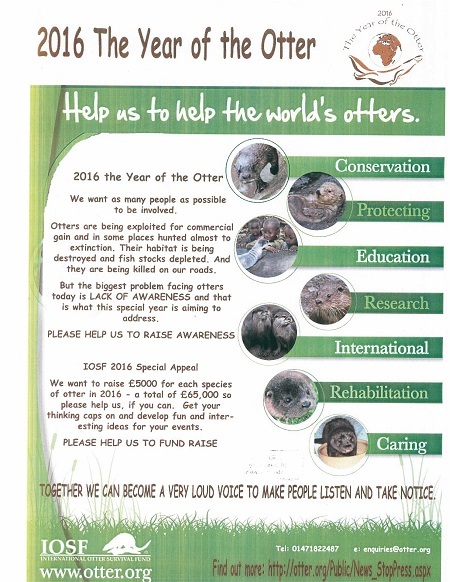 WITH YOUR SUPPORT we have been able to translate the YEAR OF THE OTTER poster into 28 languages and these are being used in even more countries throughout Asia, Africa, South America, USA and Europe. WITH YOUR SUPPORT we held a training workshop in China in September to train more people in research and education and also make people aware of the threat to otters through the illegal wildlife trade. Over 30 people attended and it was a true milestone in otter conservation as we now have people in Hong Kong, Taiwan and on mainland China who are working together through the Chinese Otter Network. They have identified priority areas which need urgent attention and a large part of the work will be education. This is vital as many people simply don't know otters exist in China! Read the full report here. 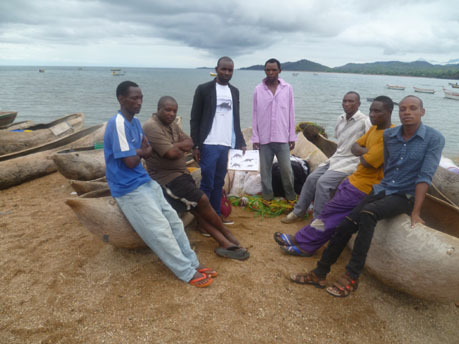 WITH YOUR SUPPORT William Mgomo in Tanzania is continuing his education work with schools and with local fishermen, who sometimes see otters as pests. One particular fisherman removed his trap for otters after speaking to William and hearing how important they are to wetland habitats. Other people are also working in Africa, following on from the 2015 workshop – Hetherwick Msiska is investigating the killing of otters for fur hats in Malawi, Engedasew Andarge is studying the otters of Ethiopia, and of course the Kikongo Otter Sanctuary (Democratic Republic of Congo) continues with its community work. 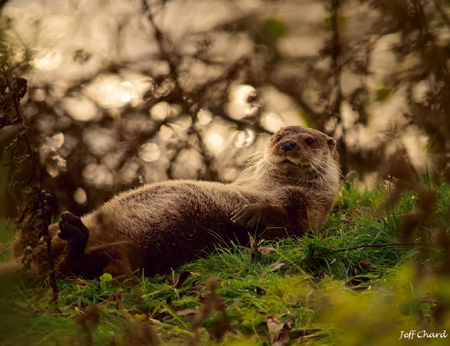 WITH YOUR SUPPORT we have cared for otters in our own sanctuary and also helped people with cubs in Germany, Finland, Greece and the Democratic Republic of Congo. WITH YOUR SUPPORT we have continued with our education work locally and will soon begin working on new educational material. On 25 May 2016, World Otter Day, people held events all over the world including USA, Czech Republic, France, the Netherlands, Romania, Philippines, and the UK. People have been doing all sorts of different things to create awareness and raise funds - coffee mornings, otter days, sponsored runs … all to raise money for otters. 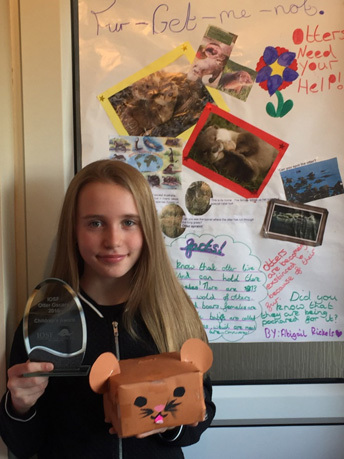 Children: Abigail Rickels, England – a poster and money box to collect money for otters. Young People: Caitlin Beth Gillespie, Scotland – Member of St Modan’s Eco Club. Researched otter and its ecology to create information poster. Community Achievement: William Mgomo, Tanzania – visiting primary and secondary schools near Liparamba Reserve. Research: Dr. Pablo César Hernández-Romero, Mexico – research into the ecology and conservation of the neotropical otter in six protected areas. Special Award: Budsabong Kanchanasaka, Thailand – has spent a lifetime working on otters, particularly in her home country of Thailand and has been an essential part of the IOSF team working on training workshops in Asia. We will be announcing the opening date for nominations for the 2017 awards on our website and in our e-updates. Click here to sign up for regular updates.